Cybercriminals have found ways to bypass layered security defenses. 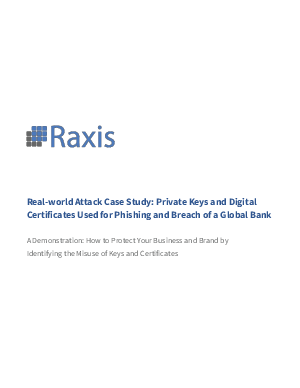 To learn how, Raxis—a recognized penetration testing firm—reconstructed a real-world attack that targeted and compromised a global bank, using technologies and methods that could be used to breach many organizations today. Fill out the form on the right to read the white paper.